As a business advisor, Tim works with a variety of businesses in the areas of leadership, team building, product research and development, sales and marketing, financial analysis, capital formation and operations. 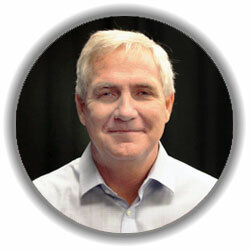 Tim co-founded Bubba Gump Shrimp Company Restaurants, Inc. in 1996 and led the development of the company to become an industry leader in the specialty casual seafood dining segment. During his career, he was responsible for the daily operations through various phases of domestic and international growth. As President / CEO, Tim led the company through the strategic acquisition of the organization, which has led to continued growth for the business. He has also spent significant time working with international companies in a variety of business areas such as franchise development, procurement and logistics. Tim's experience in the restaurant industry spans over 30 years. Prior to co-founding Bubba Gump Restaurants, Inc., Tim spent several years at Rusty Pelican Restaurants, Inc. and Hyatt Hotels Corporation. Mr. Busald received his BS degree in Consumer and Family Sciences from Purdue University. He has lived in the Rogue Valley with his family since 2005. He enjoys all things water-related from fly fishing to kayaking and paddle boarding the Rogue River.